Zen, pure and a work of moments. 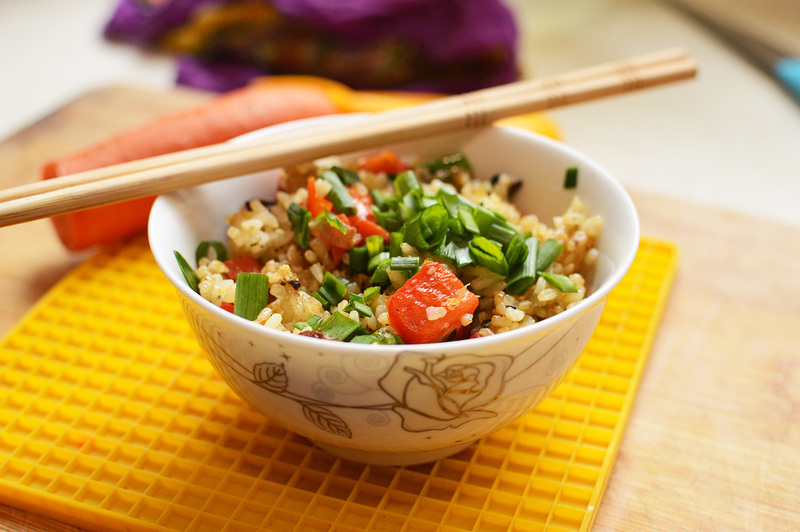 These fried rice are a breeze to make and their savory, mellow, fresh taste makes it a delight to eat. 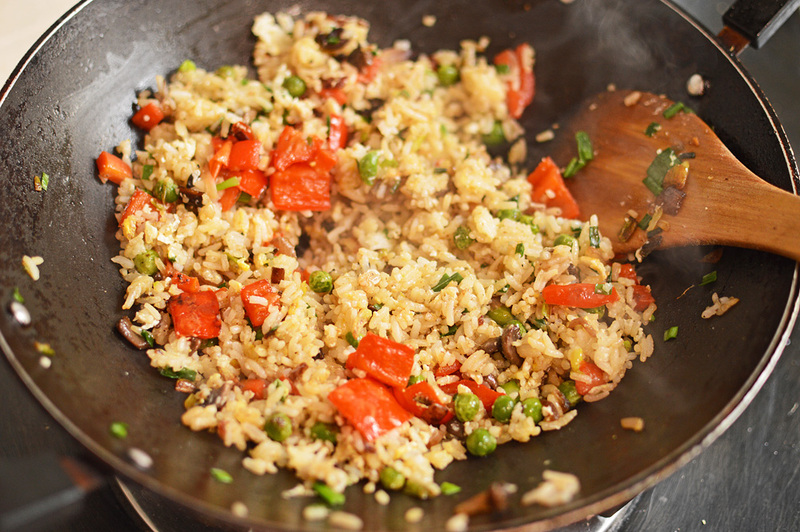 They are nutritious, low-fat, versatile and catapult your leftover cooked rice into a delish meal. 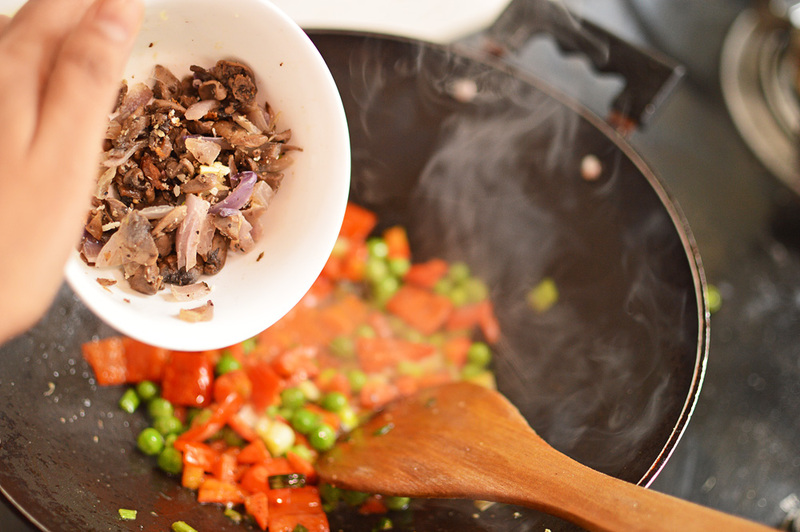 This dish can be cooked using whatever leftover vegetables you have in your fridge and somehow it never goes wrong. 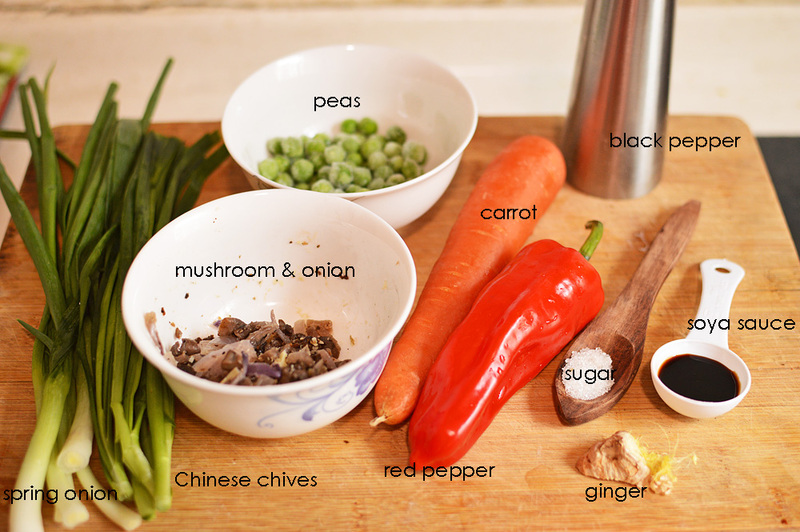 This recipe was given to me by my Chinese friend and it is as much a pleasure to cook as it is to eat. 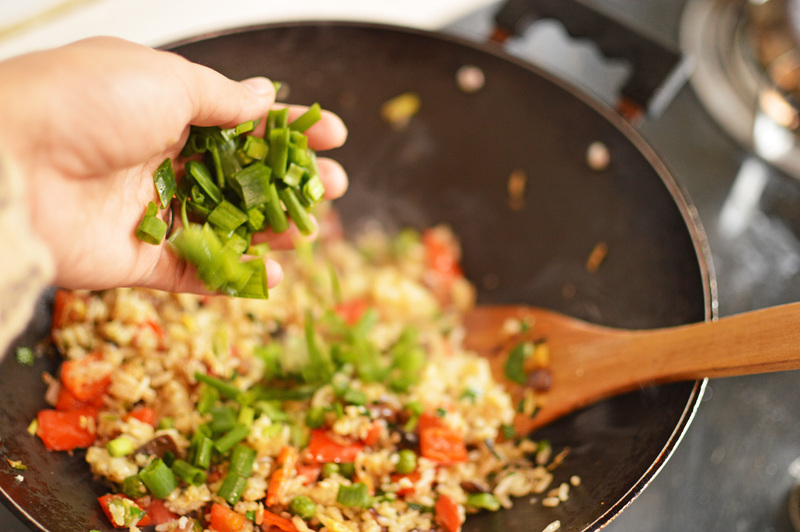 Try this and you’d never want another recipe for your fried rice. 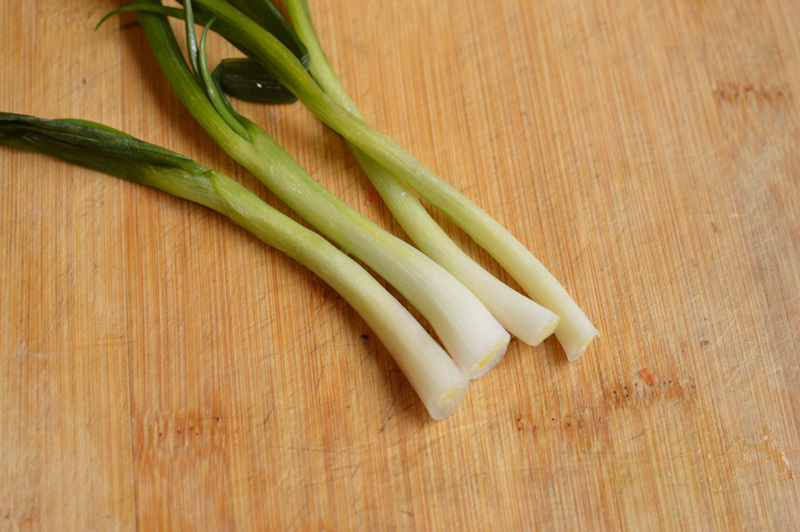 I’m not using any garlic here, because my Chinese friends tell me that if a recipe includes spring onions there is no need for garlic. 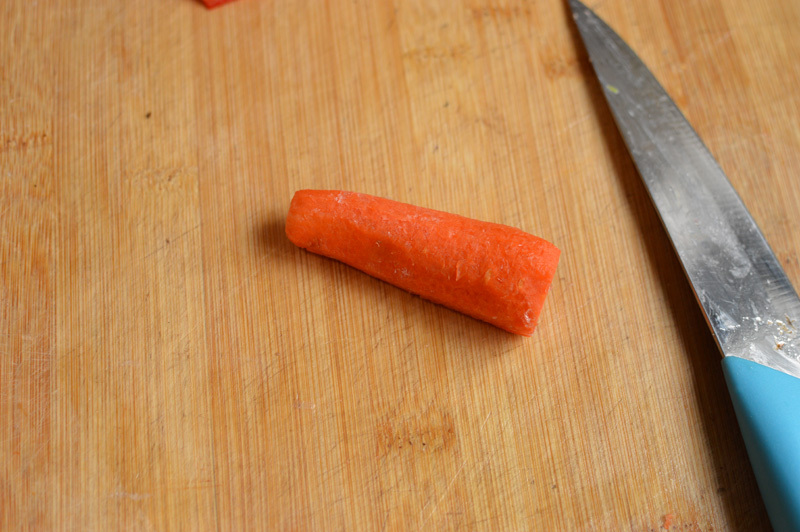 I used half of that carrot I showed in the picture simply because this was a solitary meal and how much can a gal eat? 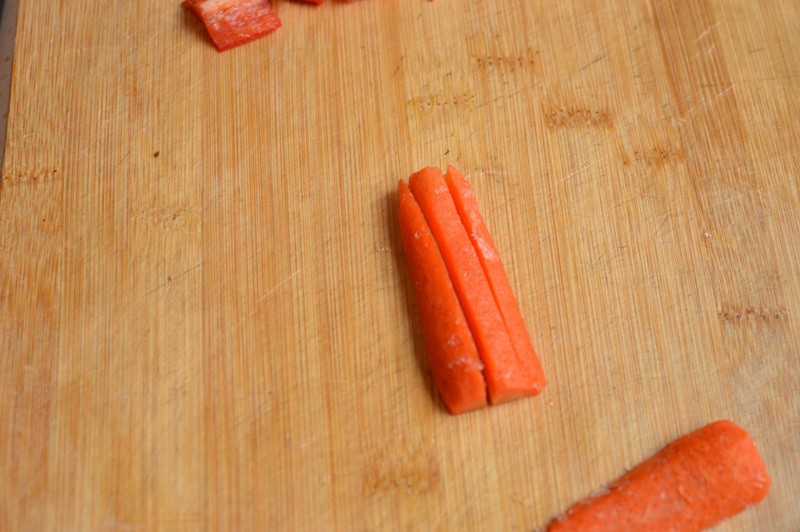 carrot into two segments. 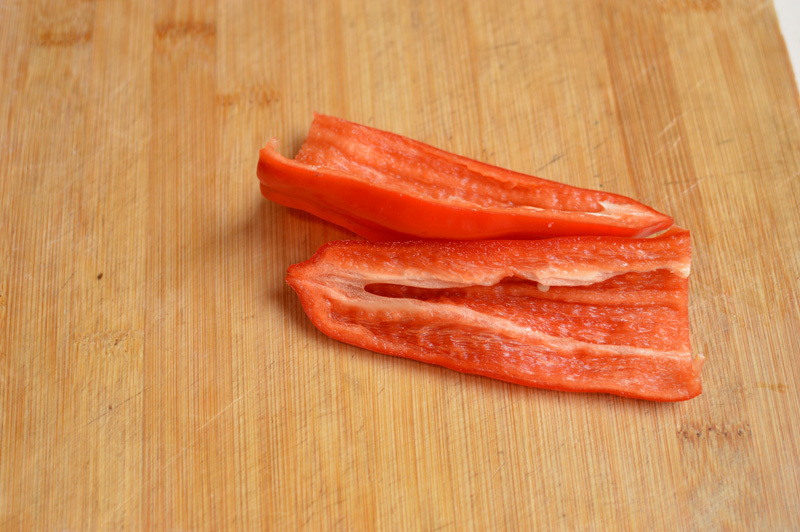 each segment into three segments. 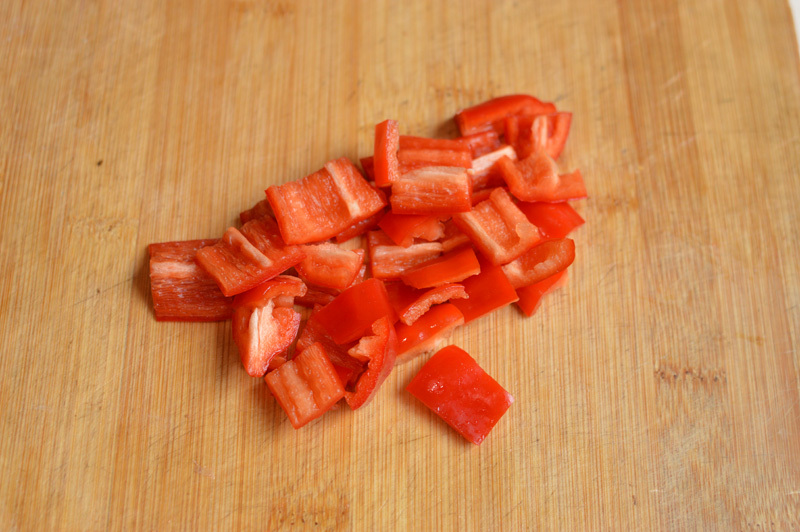 chopped into chunky small pieces. 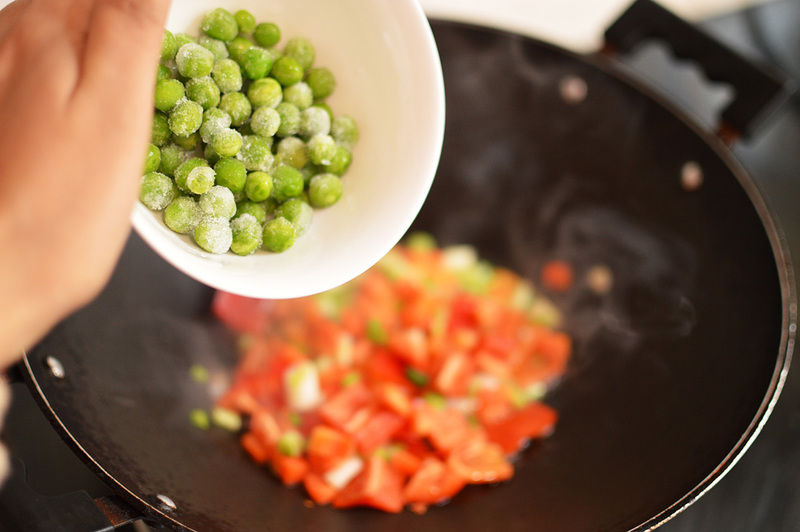 I reserve the white and light green part for the initial cooking as a flavour base and the green ones to put in later for flavour enhancement and garnish. 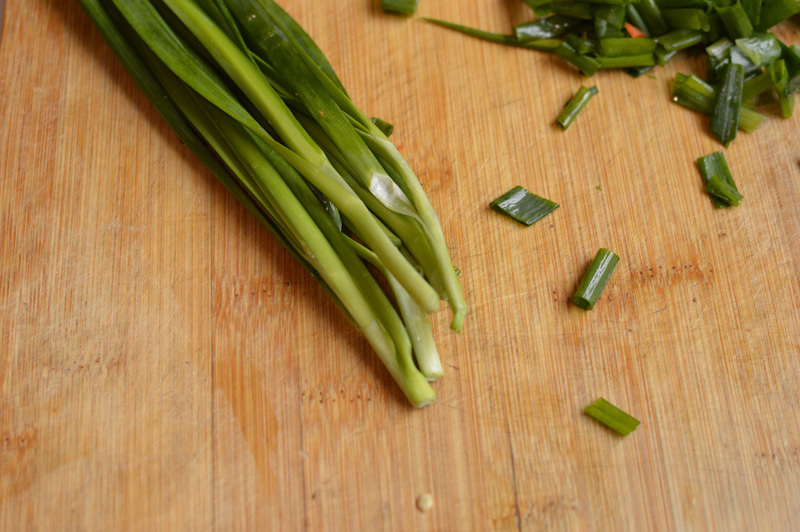 and these Chinese chives. 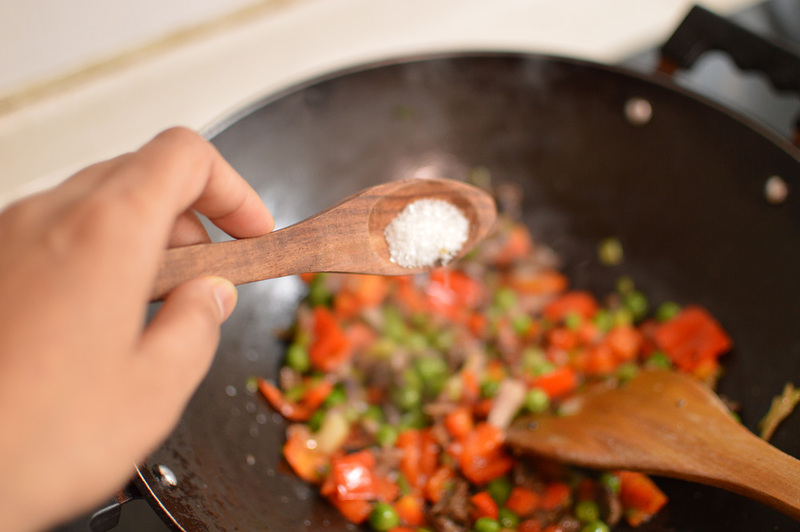 I have a soft spot for these, and end up putting them in everything I cook. 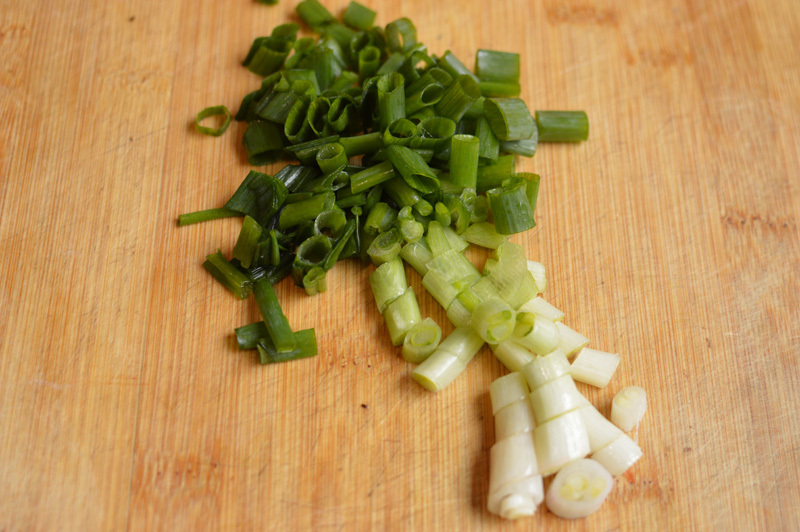 As with the green onions, I use the lighter part for initial flavour base and the green part for second flavour layer and garnish. 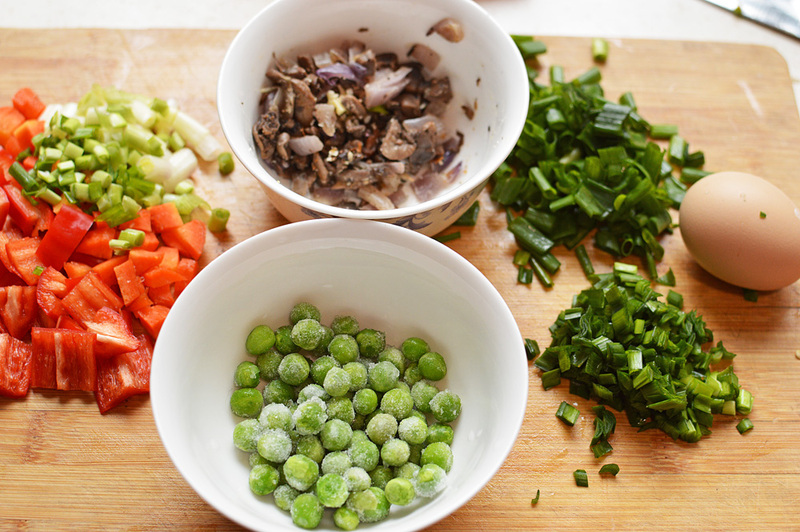 Here we are with our chopped vegetables and the pictured egg. 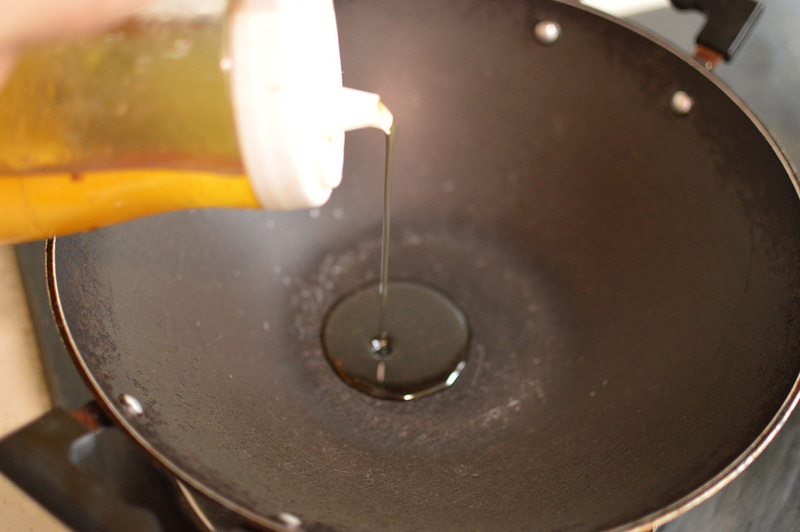 Oil into your favourite wok, as you can see mine is pretty old and has seen many a burnt foods and adventures and I love it to bits. It’s my moms actually, I stole it from her and carried it to China. while the oil is getting hot, here is my rice. It’s not much, but enough to feed me. 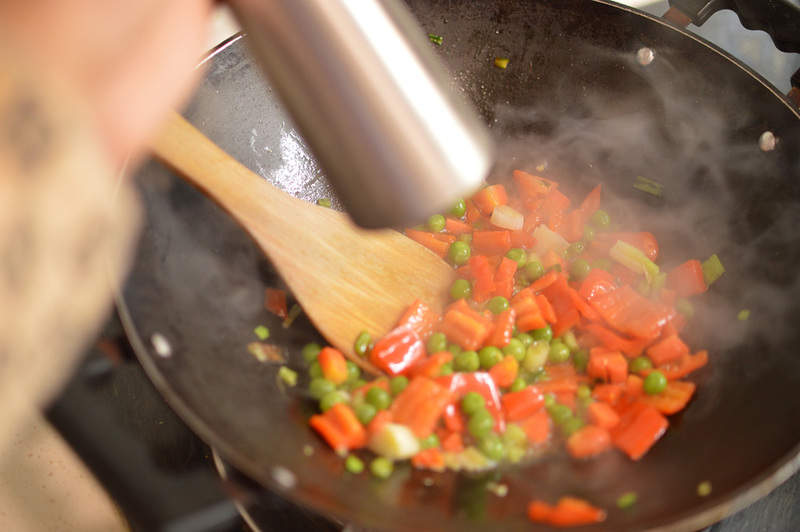 make sure the oil starts smoking before you add in your vegetables. The oil has to be ferociously hot. 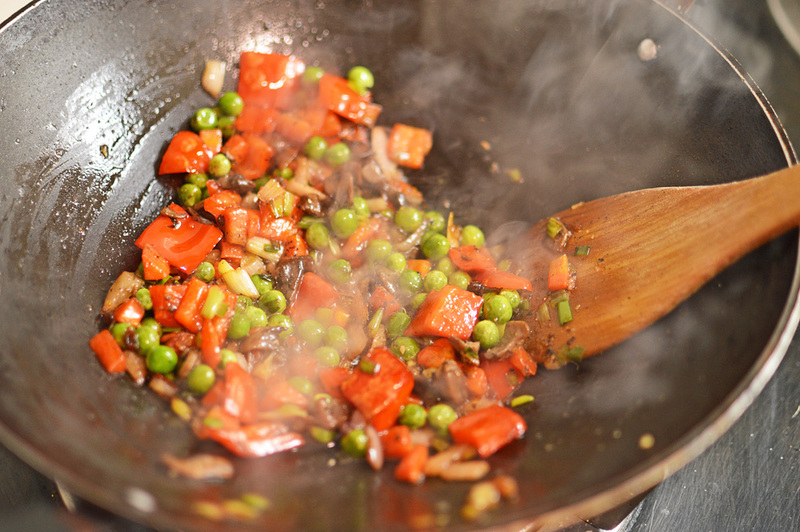 In a big swoop add in the peppers, carrots, white part of the chives,finely minced ginger and spring onions. It’ll sizzle and you’d salivate. pinch of sugar and this doesn’t sweeten anything but rather balances all the flavours. bring it all together and mix well for a few seconds. 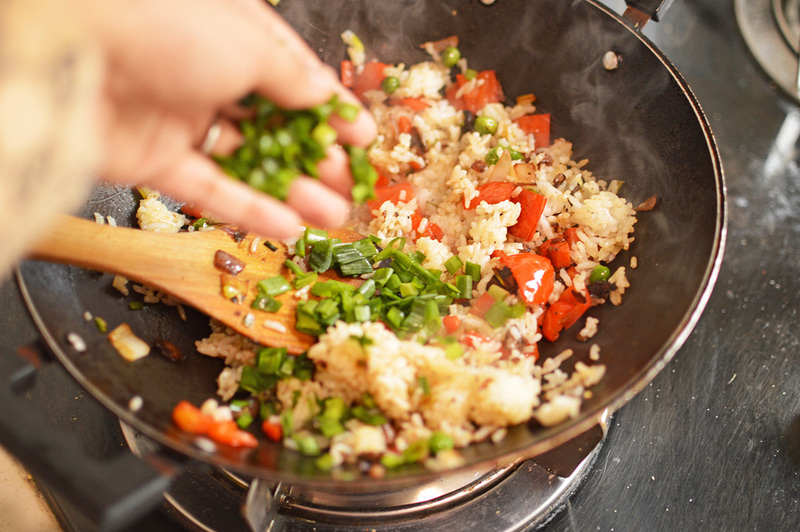 add in the rice. 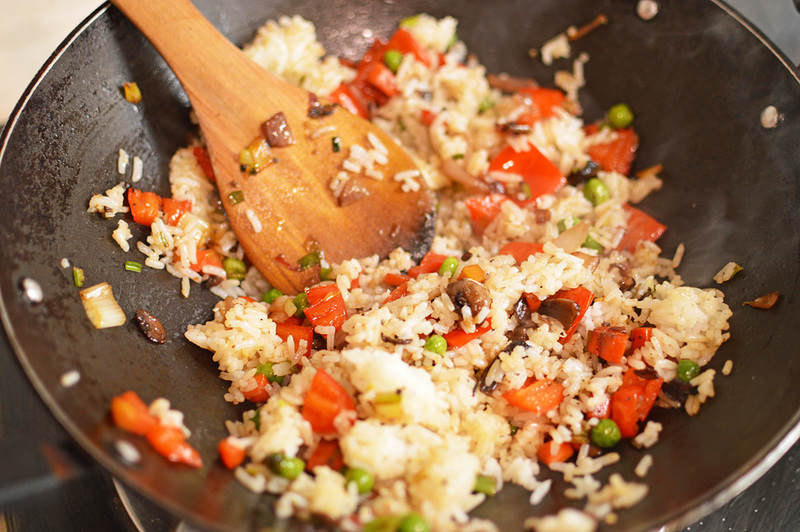 I have here some beautiful jasmine rice, but use any rice you have. Now crack in the egg. 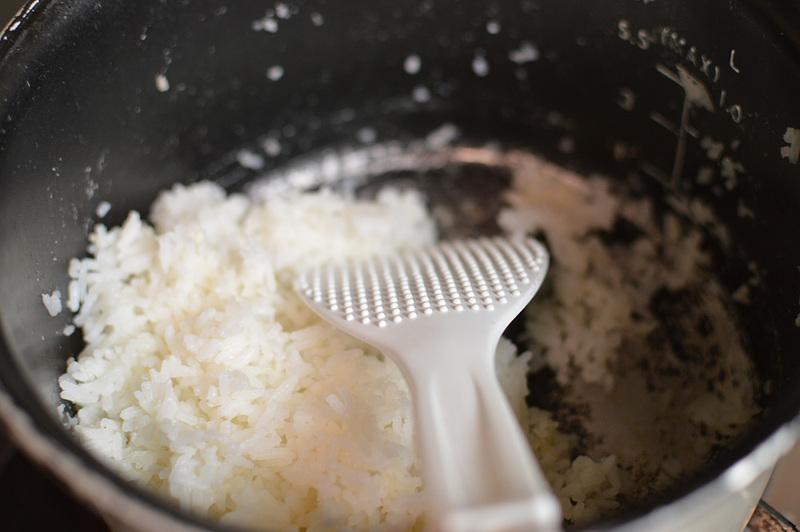 Mix until it’s scrambled and coated each rice strand. another handful of greens and mix and adjust for seasoning. If you need more salt and black pepper, now’s the time. 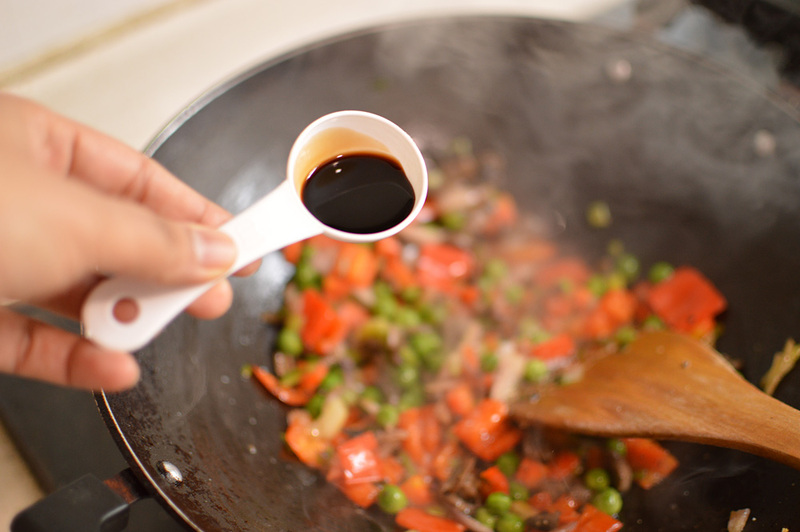 My soya sauce was very salty and I really didn’t need any more salt but make sure this dish isn’t under salted. Mix well and it’s done. how easy was this? rich rewards with minimum effort. You have to make this. 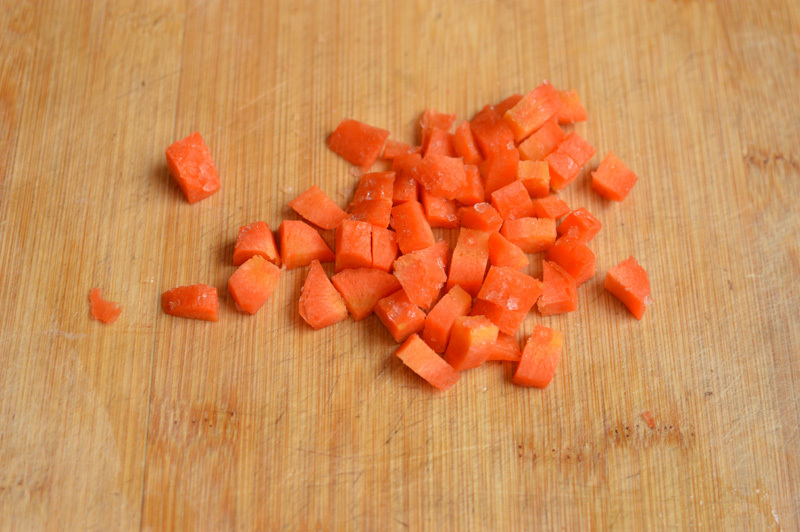 Recipe: Chop the vegetables into 1/4 inch thick chunks. 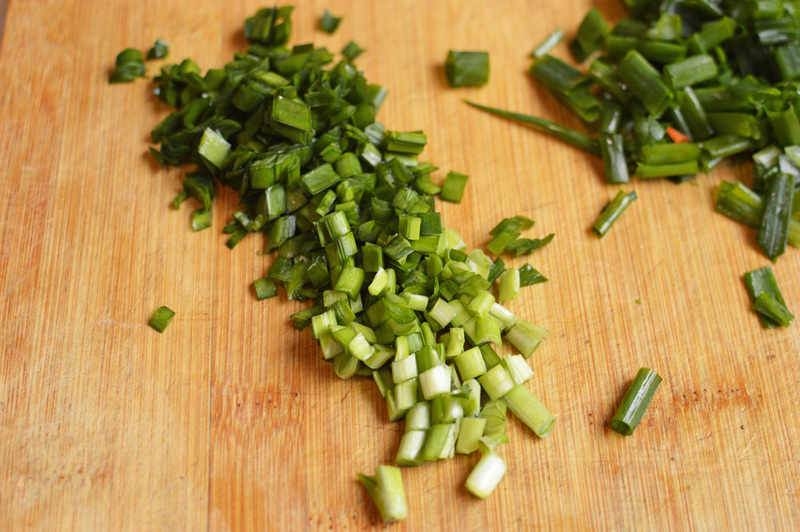 Reserve the green part of the chives and green onions for garnishing and later layer of flavours. 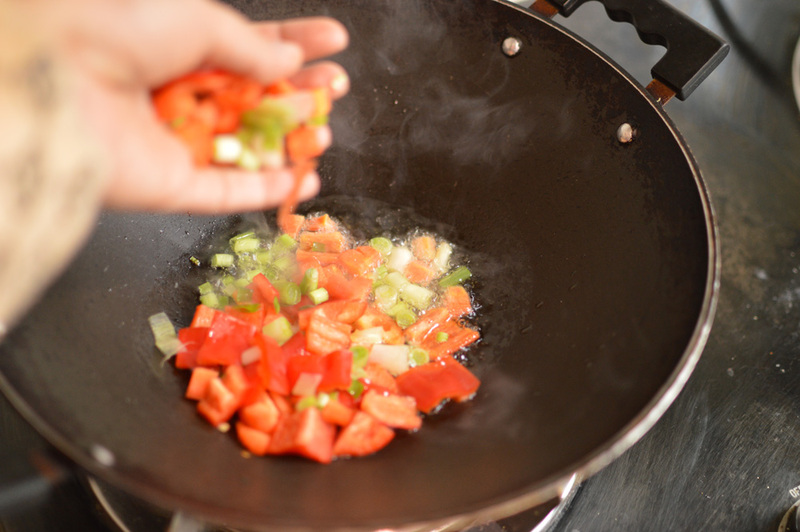 In a wok, heat oil and once it nearly starts smoking add in your ginger,vegetables, except the green parts of the chives and spring onions. Mix well. 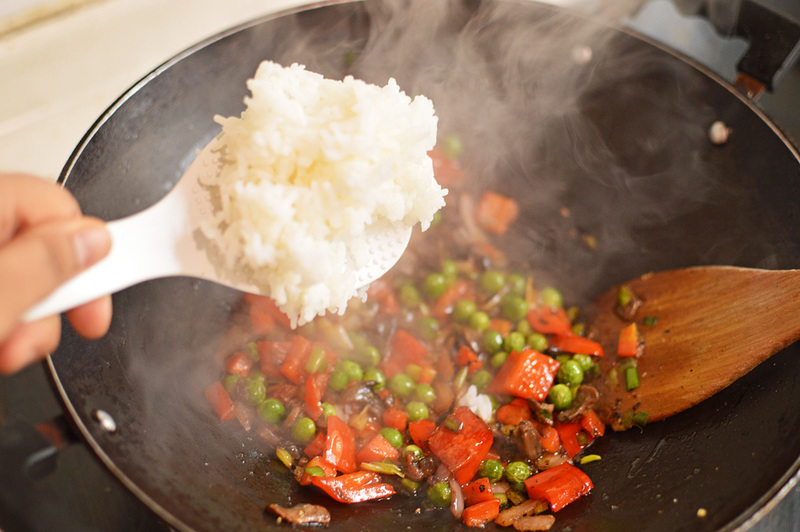 add the pepper, sugar and half of the soya sauce. Mix until well combined. 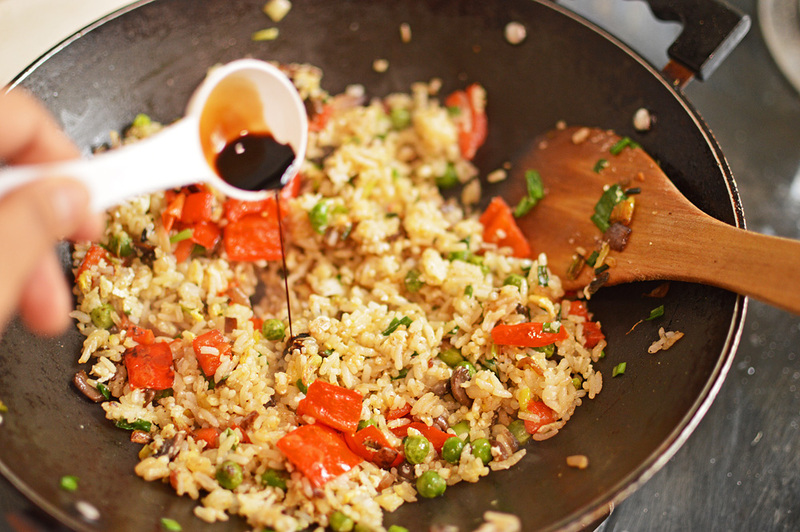 Add in the rice and mix until the rice is slicked with oil and vegetables. 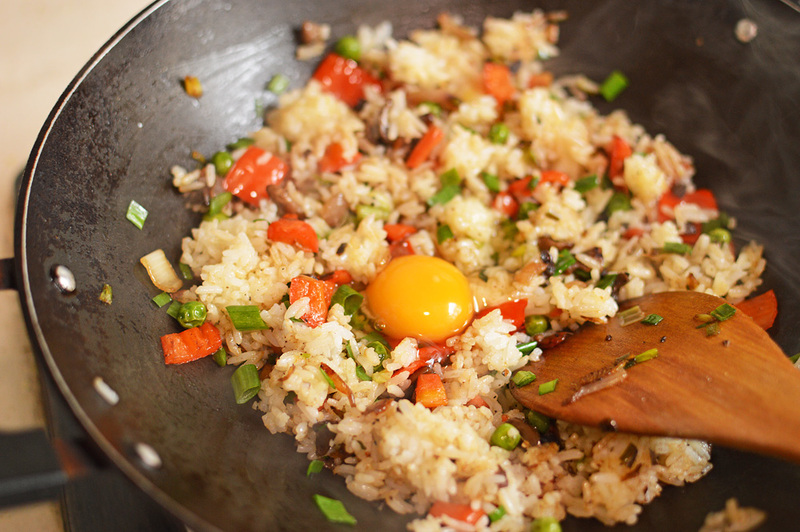 Add in half the green part of spring onions and chives, crack in the egg and mix again until the rice is fairly coated with scrambled egg. Finally add in the remaining soya sauce and the remaining green parts of chives and spring onion, adjust for seasoning and serve hot. 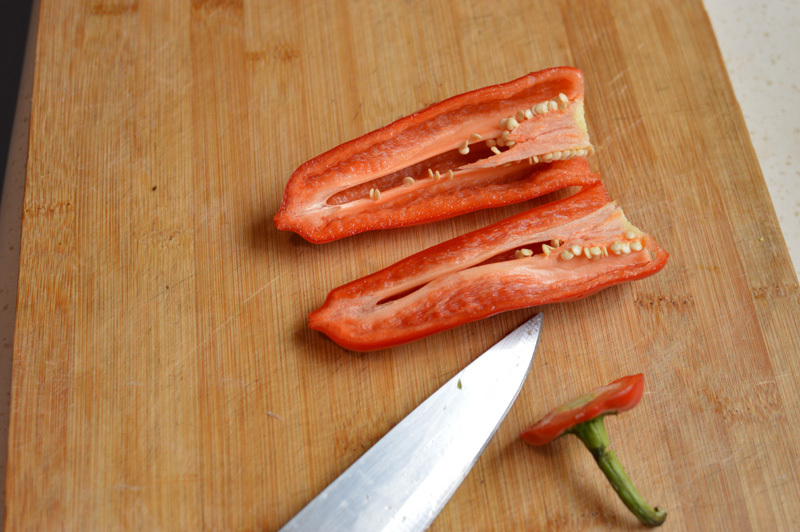 This is not a very pungent, or overwhelmingly flavourful dish. 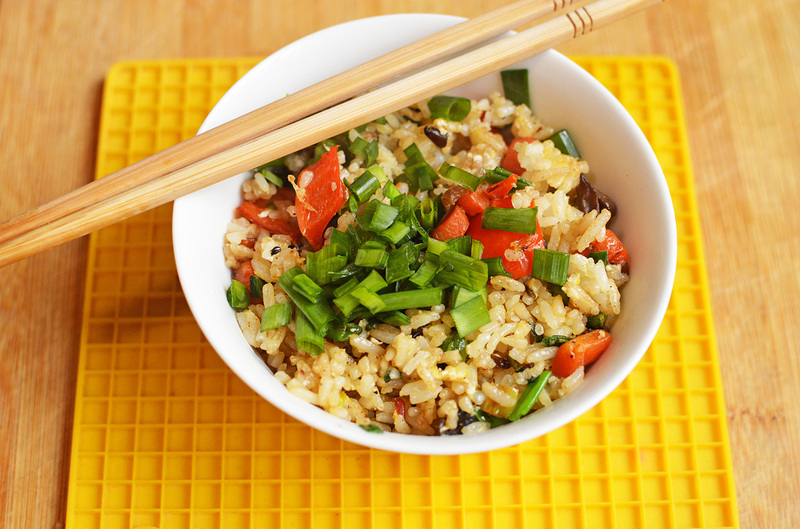 It’s a very mild, subtle and fresh tasting rice dish. 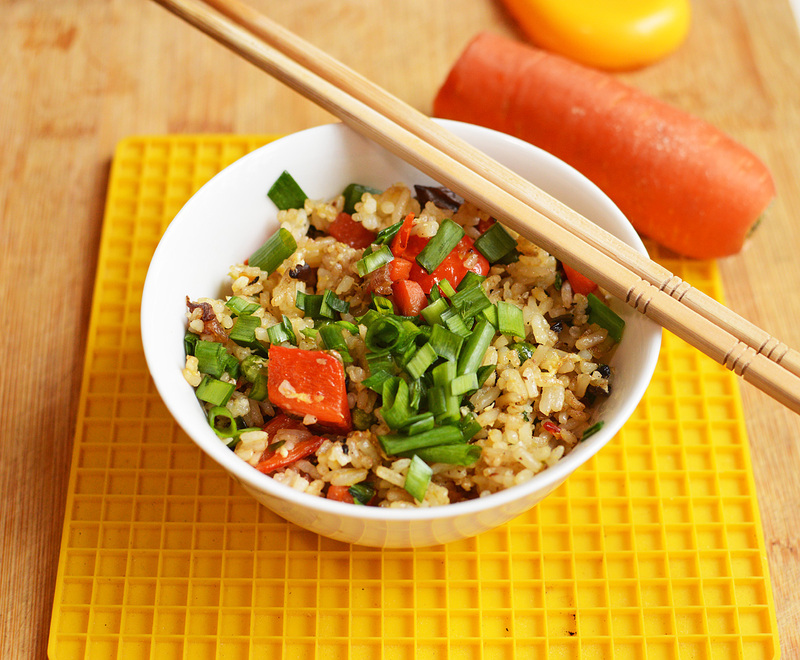 It’s pure and simple and a perfect light lunch or dinner.